If you enjoy following the Iditarod, you will enjoy it more by following the race with a Fantasy Iditarod Team. Just before I left my students in Iowa, we held our own draft for Iditarod mushers. With their team names created and their teams selected, my students are geared up for the race to begin. Before draft day the students did a little research and used critical thinking skills to help them form their teams. Each group in my classroom had to choose a name for their team. Some creative team names were, The Lead Dogs, No Place Like Nome, The Mush Potatoes, Team Pawsome. Each team in the class would be drafting five total mushers; 3 main mushers, 1 female musher, and 1 rookie musher. The main mushers on the team can be any type of musher; veteran, rookie, female, it’s their choice. The female musher obviously has to be a female musher. If one of their main mushers is a female musher, they need to choose a different female musher. It is the same concept with the rookie musher, if one of their main mushers is a rookie, they need a different rookie. 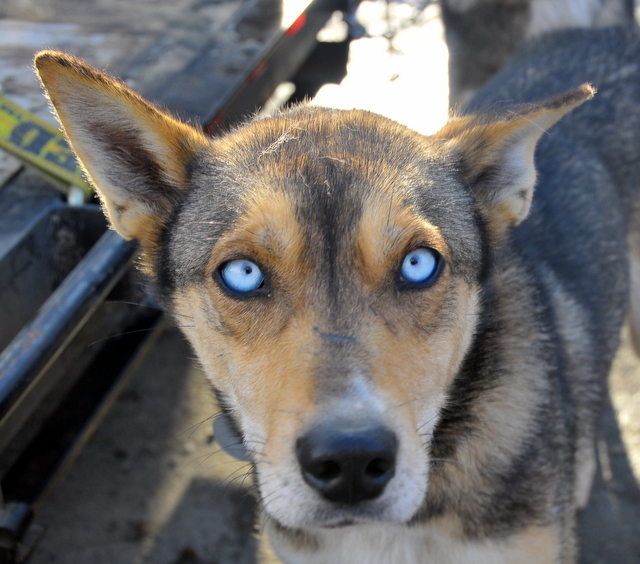 In the end, each team will have five different mushers. Red Lantern winner will earn 70 points. The Red Lantern winner is the musher who crosses the finish line last. When discussing this winner with your students talk about the importance of just finishing such a challenging race and persevering through obstacles faced along the way. My students took about a day and a half to research and make their lists of choices with back up choices in case their musher was already picked. On draft day to determine which team drew first we drew team names out of a hat. There are seven groups in each of my classes and we had five rounds in the draft. The first pick in first hour was Aliy Zirkle. The first pick in second hour was also Aliy Zirkle. Fifth hour picked Jeff King as their first pick. As students were deciding on their picks I heard them strategizing. A few teams were trying to get a couple of top 10 finishers as well as someone they think would win the Red Lantern. Teams were coming up with strategies that would give them the most points, not necessarily their favorite mushers. Keep this in mind when picking your teams. We created charts for each class to keep track of our points which we hung outside of the classroom. Each day during the race students will be tracking the mushers and when points are earned they will update the charts. I am bringing back prizes from Alaska for the winning teams. In addition to playing Fantasy Iditarod in your class with your students, you may want to hold a draft with some friends. It is an exciting way to follow the race. The countdown is on, one week until the race. Get started with Fantasy Iditarod this week. You may want to think about holding off on your draft day until Friday of this week. Thursday, March 5, is the Musher Drawing Banquet. At the banquet the mushers will draw their starting order. If your class chooses to keep track of points at early checkpoints, starting order may make a difference.